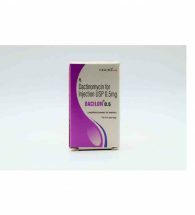 As a solitary specialist or in blend with paclitaxel, for treatment of cutting edge gastric or gastro-esophageal intersection adenocarcinoma, with sickness movement on or after earlier fluoropyrimidine-or platinum-containing chemotherapy. 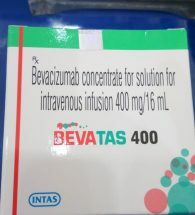 In mix with docetaxel, for treatment of metastatic nonsmall cell lung malignant growth with sickness movement on or after platinum-based chemotherapy. 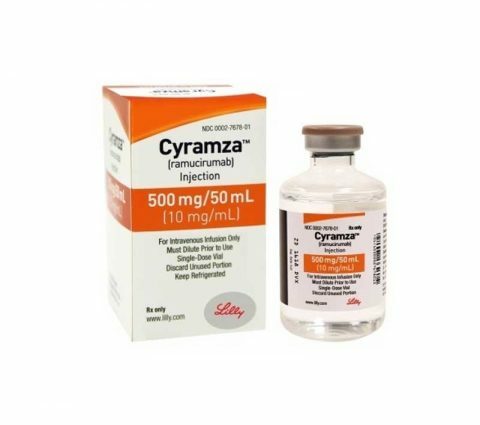 Patients with EGFR or ALK genomic tumor abnormalities ought to have ailment movement on FDA-affirmed treatment for these variations preceding accepting CYRAMZA. 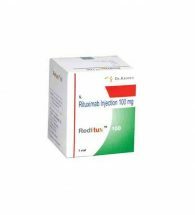 In mix with FOLFIRI, for the treatment of metastatic colorectal malignancy with ailment movement on or after earlier treatment with bevacizumab, oxaliplatin, and a fluoropyrimidine. 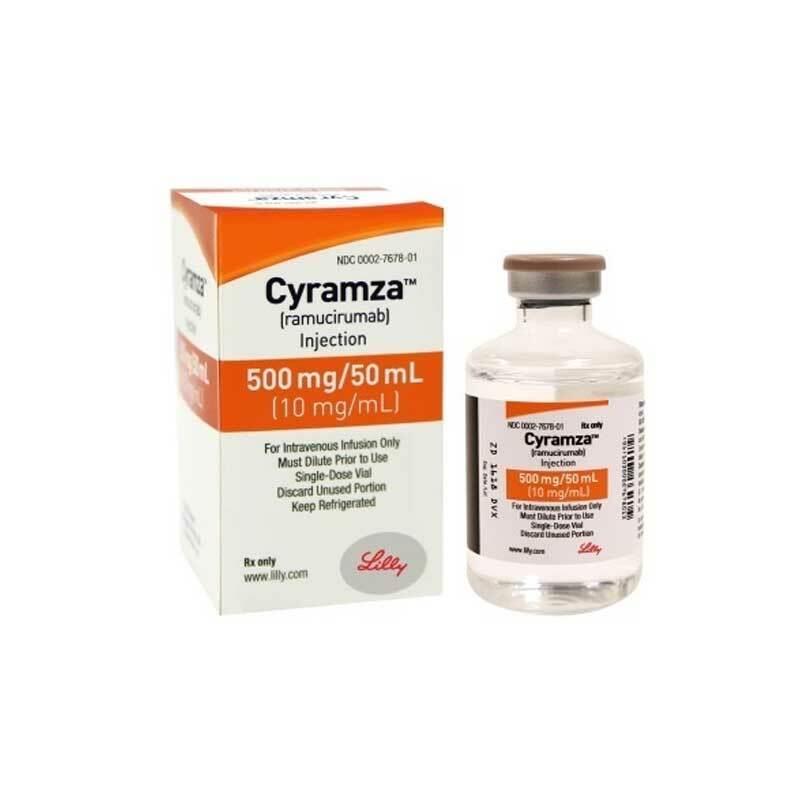 Cyramza (ramucirumab) ought to be regulated under the supervision of a certified doctor experienced in the employments of disease chemotherapeutic specialists. Take as directed by your doctor or follow the direction printed on the product insert.Measurement depends on your condition. Tell your doctor if your condition endures or declines. Vital advising focuses are recorded underneath. Utilize successful prophylactic strategies . f you notice other side-effects not listed above, contact your doctor for medical advice. 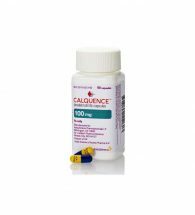 You may also report side-effects to your local food and drug administration authority.